For many people, Friday is the working end goal of the week. Once you’ve reached it, you can relax for a bit. Of course, this can apply to any days of the week that is considered an individual’s weekend! 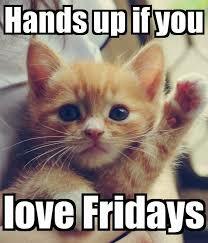 So whenever your weekend is, the team at Really Cheap Carpet Cleaning Brisbane hope you have a safe and fun one. https://www.reallycheapcarpetcleaning.com.au/wp-content/uploads/2018/01/love-Fridays.jpeg 243 208 pippa https://www.reallycheapcarpetcleaning.com.au/wp-content/uploads/2017/05/Logo.png pippa2018-01-11 21:58:562018-01-11 23:20:01It's that Friday Feeling!